As we near the end of the second decade of the millennium the march of technological development shows no sign of slowing down. In fact every walk of life continues to be touched and enhanced, whether through improvements in battery technology, connectivity, or processing power. 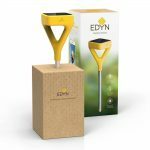 Even the most mundane of products are being improved thanks to technological advances, and even the world of gardening, usually a sanctuary from the unrelenting buzz of modern technology, has seen its fair share of development in recent years. 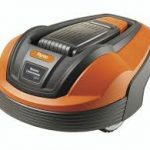 Championing this advance in almost every regard is the robotic lawn mower, a veritable poster child of state of the art technology, powered by the latest lithium ion batteries, and controlled by advanced micro processors. Some models even offer connectivity to an app on your mobile phone to provide you with data on lawn mowing activity. As impressive as all this is of course, the question remains, why would you want a robotic powered lawn mower? Well in truth, until prices become more attractive, the simple answer for most people is that you probably wouldn’t. However let’s suppose for a minute that money is no object. With a robo mower in your garden, never again will you need to worry about spending that hour every Saturday afternoon, forced into the ritual of pushing the mower up and down, stopping every few minutes to empty the grass box, having to clean the mower afterwards, and of course getting sweaty and covered in little pieces of grass in the process. Instead you’ll get a consistently uniform cut, and a mower that cuts the grass far more frequently than you would ever wish to. Want it to mow every other day? 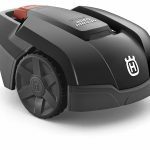 No problem, a robotic lawn mower isn’t about to complain that you’re working it too hard, it will head off in all weathers, manicuring your lawn to perfection. 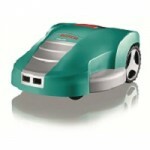 As discussed above, Robotic lawn mowers are expensive, as a minimum you can expect to pay around £900. For this sort of money you could buy 2 decent sized self driven petrol lawn mowers, so you might argue that you don’t get a lot for your money. Potential safety issues. 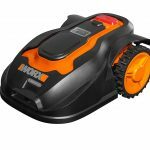 Though most have features built in to mitigate the likelihood of accidents happening, you might still think twice about pets and children being around when a robotic mower is doing its thing, just to be on the safe side. 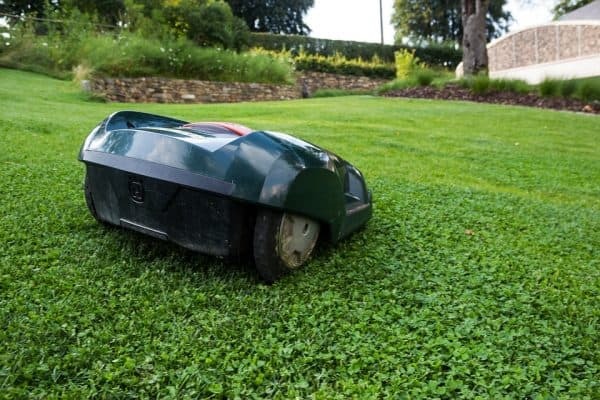 Essentially, if you’ve got the money and you prefer doing things with your time other than mowing the lawn, robotic mowers are a great investment. Yes there’s a way to go before things like perimeter wires and batteries are completely flawless, but for the most part you’ll find robo mowers to be reliable bits of kit. On the other hand if you’ve got a smaller garden, a young family or pets, you might want to think twice, not least because of the cost and potential safety issues, but because your garden is likely to be so well used and abused that the finesse of a robotically manicured lawn might well be overkill. The worst part of mowing the lawn has always been my allergies. 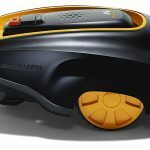 I didn’t know that you could get robotic lawn mowers that handle everything for you! It would be so great to not have to worry about getting all stuffy from mowing the lawn.